Why use a Pie Chart? Pie charts have been known as the most fun chart to convey data. It is simple to draw, and the information can be easily conveyed through it. It’s hard to say when did we first start using pie charts, but it sure has been in the run since long. It gained popularity in the early 1800’s; when a Scottish engineer used a pie chart to represent his statistical study. Ever since then this chart is praised for its intuitive readability but also criticized for the lack of accuracy. However, it remained under the popular chart ever since then. These charts break the whole data into parts to make even the most complex data simpler to grasp. 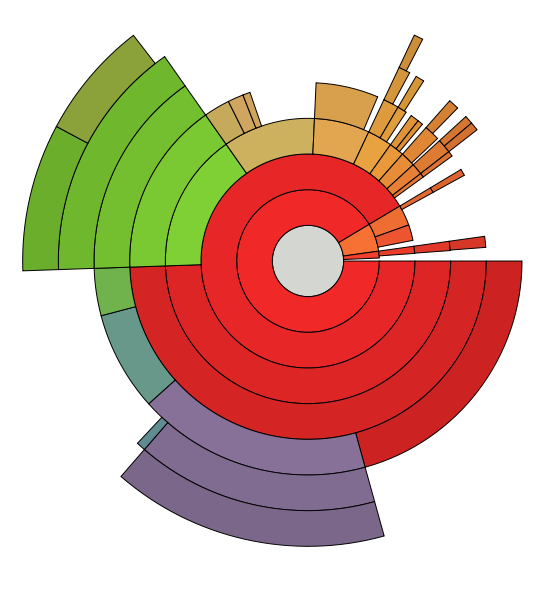 As the name suggests, the chart is in the form of a big pie that represent the whole data, which is divided into many parts or slices. Each part of the pie represents a subcategory of the whole data. They help show the proportion and percentage of each category that constitutes the data, as each slice is proportional to the quantity of data it represents. 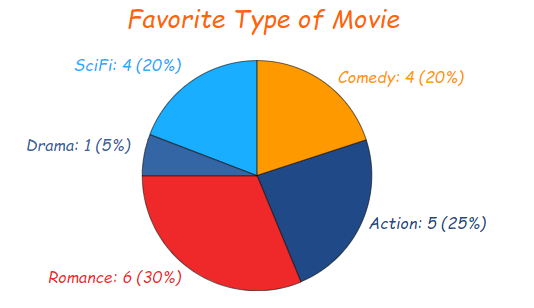 For example, if you take a survey of the movies your friends or colleagues like and record it in a tabular form, it can be represented by a pie chart as illustrated below. Election data can also be taken as an example. Say, there are some ten candidates standing in the election. Each person gets a handful of votes that are added up for the total. The percentage of votes is what is considered to determine which person wins. This data can also be drawn into a pie chart. When to use a Pie Chart? Pie Charts are mostly used when dealing with grouped data or data which is categorized. These charts are the ones preferred during presentations and are a common choice of data presentation method in offices, schools and other organizations. When the number of recorded information is less than six and the change in data need not be addressed, then using a pie chart is an apt choice. 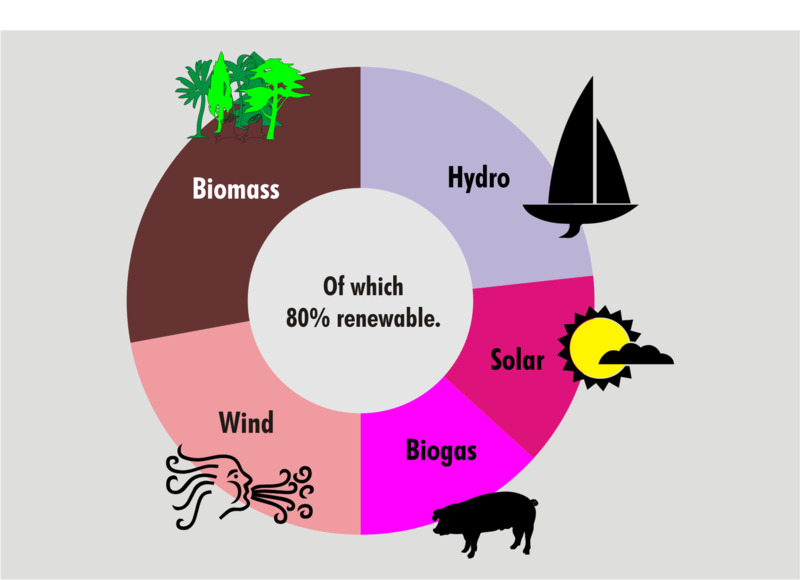 In case the data has different categories, a pie chart can be used to draw a comparison between them, using different colors to denote each category. While drawing a pie chart one must assure that all the slices are of equal proportions, such that all parts make up the whole data when summed up. As the pie charts are pretty good with the promotional distribution of data, they are of good use in media and business industries to draw an audience. If one category is prominent than the rest in various factors, a pie chart can be used to show the dominant trait of the same. Pie charts are a good way to represent large data in a simple graphical manner. These charts are way simpler than other forms of charts. Pie charts don’t work well with data with categories having similar values. This is because when we divide the data into many slices, the similarity between them makes it hard to distinguish them and the diversity between them is not properly conveyed. The more the number of categories increase, the more the number of the slices increase and the more complex the chart becomes to read. This makes pie charts unsuitable for large data. They cannot be used to compare different data from a different set of experiments. It takes up more space than any other suitable alternatives to represent data. They are not preferred when making an accurate comparison between groups. Pie charts are not to be used when dealing with data parts that don’t sum up. If you’re looking at the progress of a company but only considering a few departments, then you can’t use a pie chart, as their contribution won’t be the same and the result will vary. Pie charts do not give you the exact values of data. It is a mere summation of data in parts to the whole. The following are some of the pie charts known to us. A 3-D pie chart also called a perspective pie chart, gives a 3-D outlook to a normal pie chart. These charts are no improvement to the regular pie charts and are used mostly because of their visually aesthetic appearance. Because of a third-dimension inclusion, these are also a bit difficult to understand in one look. This chart, as the name indicates is in the form of a doughnut. It’s blank from the center, where additional information about the data is displayed. Only data that can be arranged in rows and columns in a worksheet can be plotted in a doughnut chart. Doughnut charts are very much like pie charts and show the relationship between the parts and the whole data. In this chart, more than one series can be plotted. The more the number of series is, the more rings can be added into the doughnut chart. Labels and text boxes can be added to explain what each ring in the doughnut denotes. A ring chart also called a multilevel chart or a sunburst chart is a chart formed by many concentric circles to visualize hierarchical data. The hierarchy moves from the circle at the center to outward circles. The circle in the very center of this chart is called a root node. It superimposes two types of charts, a polar chart and a pie chart to draw a comparison between two related sets of data. 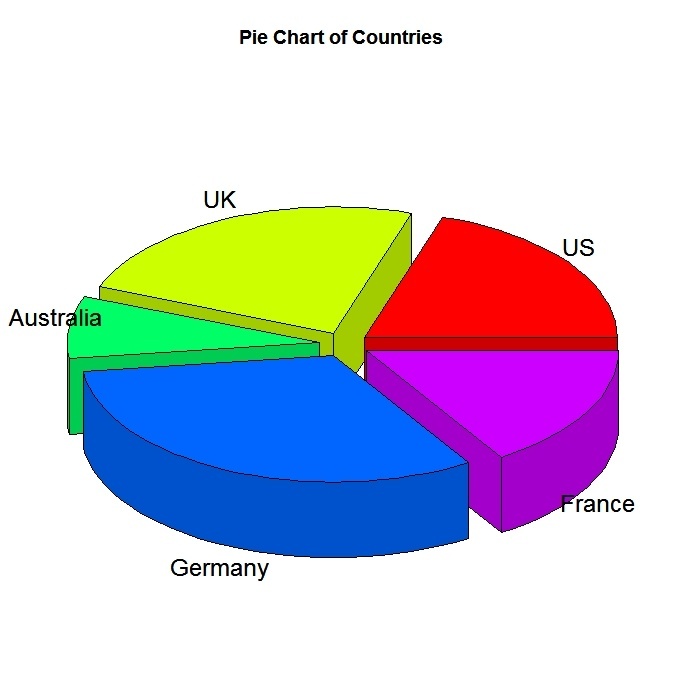 The first set of data is given by the base pie chart. The second set of data is given by the superimposed polar area chart, that is adjusted to fit in the radii and angles of the base pie chart. 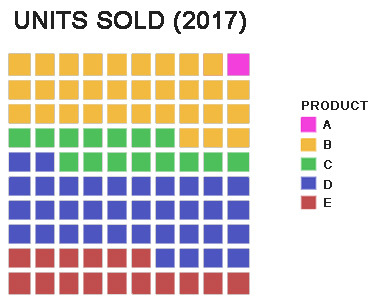 Square charts, which are also called waffle charts, use the same ideology as any circular charts, where the data is presented in parts which added up together form the whole data. Only here instead of circles, squares are used to represent the percentage of data. Despite the name, other shapes can be used to depict the data. The main advantage of using different shapes than the traditional circle is that smaller values that are overshadowed can be observed more precisely. An exploded pie chart is formed when the slices of a pie chart are moved further away for further significance to be drawn to them. Here, each slice is observed closely. They look like the pieces of a whole pie, cut out and moved slightly outward from its center. These are the types of Pie charts that can be used to covey your data pictorially and aesthetically.